We are your car buyer that offers courtesy services for any condition of a car. Get a cash quote up to $9,999 for Selling Your Car in Adelaide. Contact Cash for Cars Adelaide. We buy cars of every make & condition. At Cash for Cars Adelaide, we provide services to car owners that help to provide convenience and save expense when selling a car of any make and condition. We are a Car Removal Adelaide company that provides the following services with each car that we buy. With our courtesy car removal services to all our local customers in Adelaide, SA, they don’t go out of their ways having to bring their car to us. 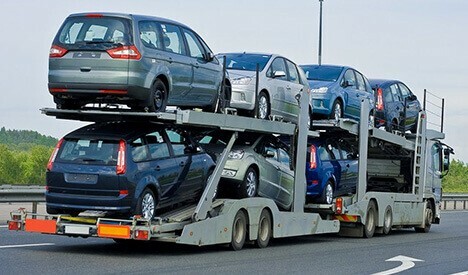 We provide fast and convenient car removals in Cash for Cars Adelaide during the day as well as after business owners for the convenience of our customers. Scrap car removal is easily scheduled once you accept our cash quote for your scrap car. We offer a hassle-free solution to buy your car, pay you top dollars and remove your car for free. Get the ease of a free scrap car removal in Adelaide, SA with Cash for Cars Adelaide. It gets difficult to sell a badly damaged, inoperable or an old car. When your auto is in any condition, and you’d like to have it removed, get it removed at no cost and a cash payment for the auto with Cash for Cars Adelaide. We are a company that enjoy buying autos because your inoperable auto is a jewel for us. This is also the reason why we pay top dollars for your unwanted auto and provide free auto removal in Adelaide. You will have the courtesy of our expert car wreckers in Adelaide, SA to wreck your accident, damaged, or old car free of charge. We have own wrecking yard where we conduct eco-friendly wrecking of your car. We are wreckers that pay our customers up to $9,999 cash. We are a leading name in providing car owners in Adelaide with high quality cash for cars service. 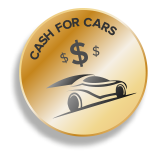 We provide cash for any kinds of cars – Toyota, Mazda, Audi, Holden, Ford, BMW, and so on. Thinking of how to sell your damaged sedan, or scrap SUV, an old Ute or a broken 4×4? When we are your car buyer, you can expect cash for car price up to $9,999 cash. With a long list of top-class services, and highest payments, we are the leading choice for a removal company in Adelaide. If you want to get rid of your car faster, contact us through phone or our website. Our appraisers will quote you based on the make, model, year, and a complete description of your car. Once you agreed to the quote, our appraiser will book an appointment with you. Car owners in Adelaide will schedule a free car removal. Our removals are convenient as you let us know when you’d like us to remove your car.